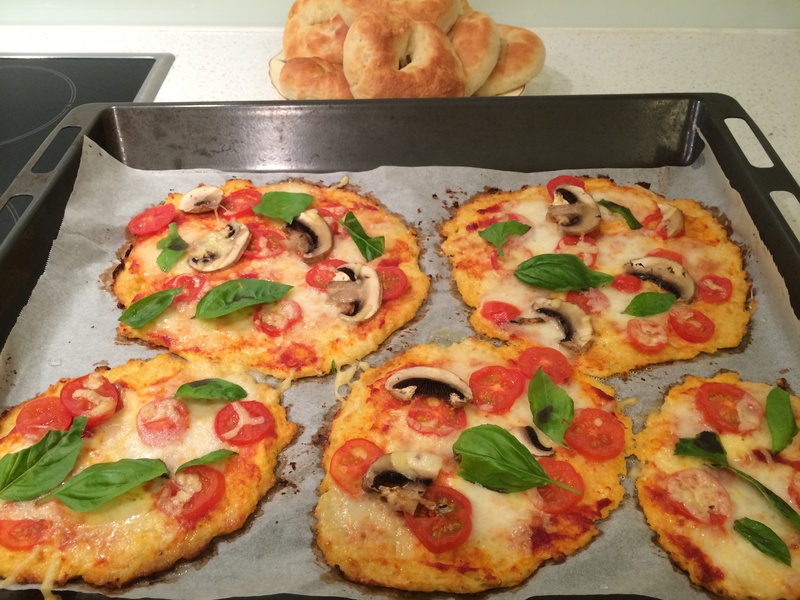 The pizza bases are made from cauliflower and parmesan and an egg, ticks the gluten free box but not dairy free. And the recipe is from the Something for Everyone cookbook. Not a huge hit tonight because the base was not as crispy as a flour pizza but some online research reveals the secret to these bases is squeezing the moisture from the cooked cauliflower before it is mixed with the cheese. Will try again with the recipe from the recipe community in which the cauliflower has moisture removed( link below) It’s great to see the favourable comments underneath the recipe proving it can work. And Sarah Wilson’s I Quit Sugar recipe (link also below ) has also received positive comments and she also notes the cauliflower is cooked and should be drained. It is the same recipe as in the Something for Everyone cookbook except she uses 20g more cheese in her base.